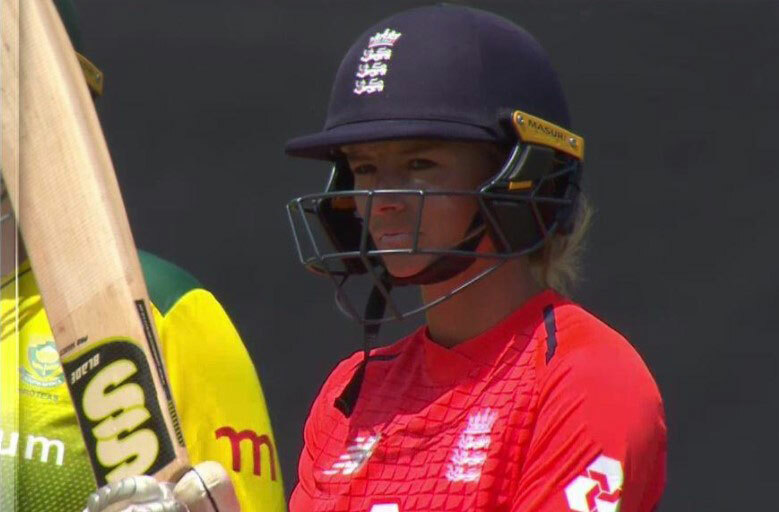 England Women vs South Africa Women Live Score: On this 23rd June Saturday, the third match of the Women’s T20I Tri-Series in England scheduled and playing at The Cooper Associates County Ground, Taunton. The match started at 01:00 PM Local time, 12:00 PM GMT. In this match, Martin Saggers, and Alex Wharf are standing as umpires. In this stadium, England Women cricket team scored 250 runs as highest for 3 wickets in 20 Overs against to South Africa Women. Also, the Lowest defended at this ground was 174 runs for 8 wickets in 20 Overs by South Africa over England. Women’s T20I Tri-Series in England 2018 Standing Table: England Women at first position with a match win by playing one against to South Africa Women, won by 121 runs. At the second position, it is New Zealand Women who also won a game against RSA in this tri-series. England Women have won the toss and opted to bat first in 3rd Match of this series.